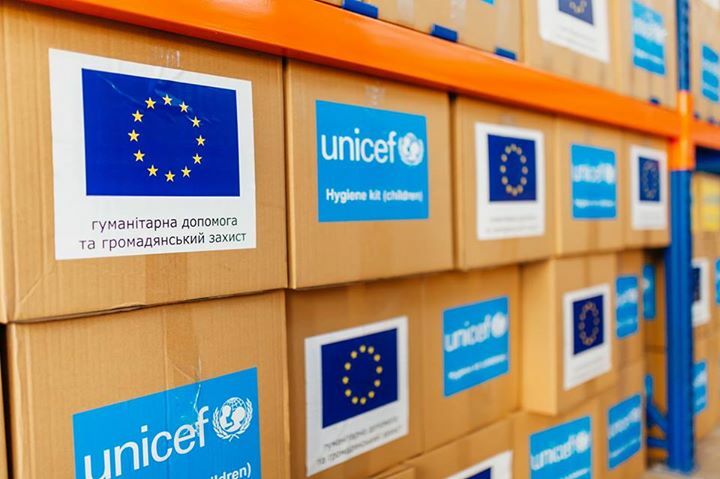 On October 8th a joint meeting of clusters of education and protection of children took place in Kharkiv’s office of the United Nations Children’s Fund (UNICEF) agency in Ukraine, as informed by the press service of Kharkiv Regional State Administration. Representatives of local authorities, governmental and nongovernmental agencies, volunteer groups, and community organizations participated in the meeting. They discussed the problems of providing aid to the IDP’s families from Donbass. According to the UNICEF Head of the Kharkiv office, Roman Sheyko, due to the upcoming new year, international organizations and UN agencies plan activities that will be held in future, and form a budget as well as look for additional funds. “Today we are discussing the problems of the IDPs. The problems are health care, creation of acceptable sanitation for temporary habitation, supplying hygienic stuffs, baby food, stationery for school children, etc. Undoubtedly, the public budget solely cannot subsidy all of this. International organizations are engaged into this work, but funding even from such a large scale structure like ours is not enough,” said Roman Sheyko. The situation with the help to IDPs is more difficult in Kharkiv region rather than in Kharkiv, where many important issues are under the control of the city authorities. In Kharkiv about 600 persons are officially employed, 7.9 thousand families are provided with medical services, 1.3 thousand children are arranged to the kindergartens and 3.3 thousand children are arranged to schools. Furthermore, 5.8 thousand people have received humanitarian aid.